1 GRAM There are 2 products. 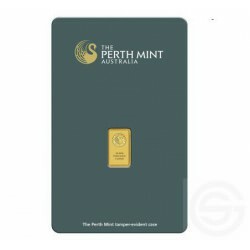 1 GR GOLD Perth Mint Certificate Or Heraeus Num Assay Card 1 gram 0.0321 troy oz .9999 Sealed 25 bars boxes. 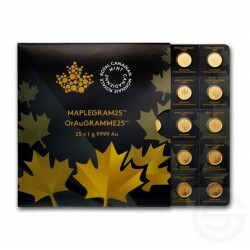 Brilliant Uncirculated Assay Card CA$0.5 0.8037 troy oz 0.9999 Short delay.